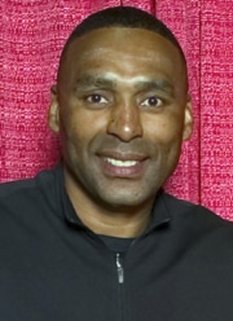 Harry Carson's 13-year stint with the New York Football Giants is one of the longest tenures in club history. The former linebacker served as Team Captain for 10 of his 13 seasons, including the 1986 season when the Giants defeated the Denver Broncos 39-20 in Super Bowl XXI. Rated the #1 "Inside Linebacker" in NFL history according to Pro Football Weekly, Carson was named to the All-Rookie Team after his first NFL season. 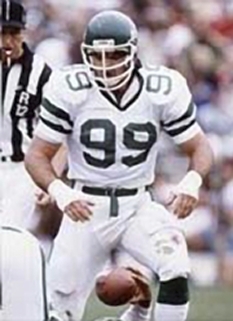 Subsequently, during his NFL career, he was a nine-time Pro Bowler, was named to the All-NFL Team seven times, the All-NFC Team eight times and NFC Linebacker of the Year twice. 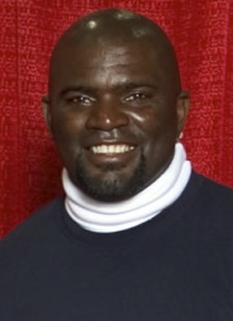 He was elected to the Pro Football Hall of Fame in 2006. 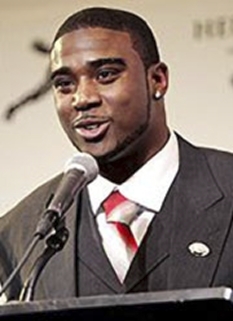 Prior to his NFL career, Carson starred at South Carolina State. The two-time captain never missed a game during his four seasons as a defensive lineman. Carson received numerous honors, including being named to the Kodak All-American Football Team and NAIA All-American Team. He excelled off the field academically as well, winning awards for the highest academic average amongst Black College All-Americans. The end of Carson's football career marked the beginning of his career in sports broadcasting. 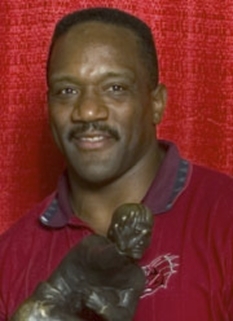 Retiring from the NFL after the 1988 season, Carson co-hosted CNN's NFL Preview and appeared on ABC-TV's Good Morning America. He is currently a member of the Giants pre-season broadcasting team and is an analyst and co-host of Giants GamePlan. . Carson is affiliated with many organizations and is involved with numerous charities such as The United Way, The United Way's Celebrity Read Program, The Boys & Girls Clubs of America, Boys Scouts of America, The Young Father's Program (at UMDNJ), The Literacy Council of New Jersey, Habitat for Humanity, The Tomorrow's Children Fund, MANetc, Inc. and The Autism Coalition. Carson has served as an Advisor to the Congress of Neurological Surgeons and is a member of the Brain Injury Association's Sports Injury Prevention Council. Former Governor Christine Whitman appointed Mr. Carson as a member of the New Jersey Advisory Council on Traumatic Brain Injury. 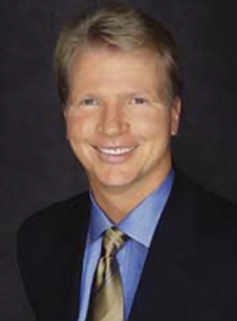 He has established himself as an authority and internationally recognized speaker on Concussions in Sports. Carson is a lecturer and motivational speaker to groups that range from juvenile and prison inmates to high school scholars, from college athletes to corporate executives and political leaders. DISCLAIMER: PFP Sports Talent Agency does not claim to represent itself as the exclusive agent for Harry Carson. 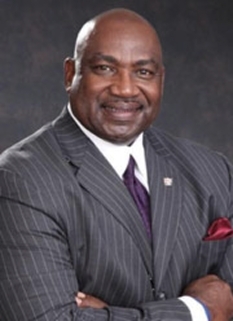 PFP Sports Talent Agency is a booking agency that represents organizations seeking to hire pro athletes and sports personalities such as Harry Carson for speaking engagements, personal appearances, product endorsements and corporate entertainment. Fees on this website are estimates and are intended only as a guideline. Exact fees are determined by a number of factors, including the location of event, the talent’s schedule, requested duties and supply and demand. PFP Sports Talent Agency makes no guarantees to the accuracy of information found on this website and does not warrant that any information or representations contained on this website will be accurate or free from errors. We are often asked how can I find out who is Harry Carson's agent? 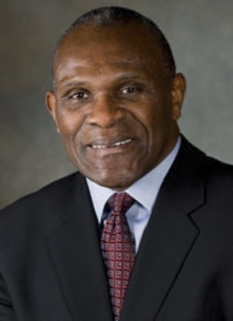 To find Harry Carson appearance fees and booking agent details, you can contact the agent, representative or manager through PFP Sports Talent Agency for speaking fee costs and availability. PFP Sports Talent Agency can help your company choose the ideal sports personality for your next marketing campaign. To hire Harry Carson for an appearance, speaking event or endorsement, contact Harry Carson's booking agent for more information.